Oh ok i thought those u would post in the Travel section. Did you go to Great Barrier Reefs? the souvenir shopping stands out amongst the rest of the photos you posted. shoot2kill wrote: the souvenir shopping stands out amongst the rest of the photos you posted. Actually, all these pics on that i've posted, do not at all look the same as what i have on my computer. They look more dull, lack of contrast and are flat. I think that is due to the compression of the website as it transfers the pics from my computer to the forum. So, i wonder maybe i should do something about it. there will be more coming. I know it is a bit messy like what some of u have said, i'm still learning to get my travel shoots look in order and great to follow thru. 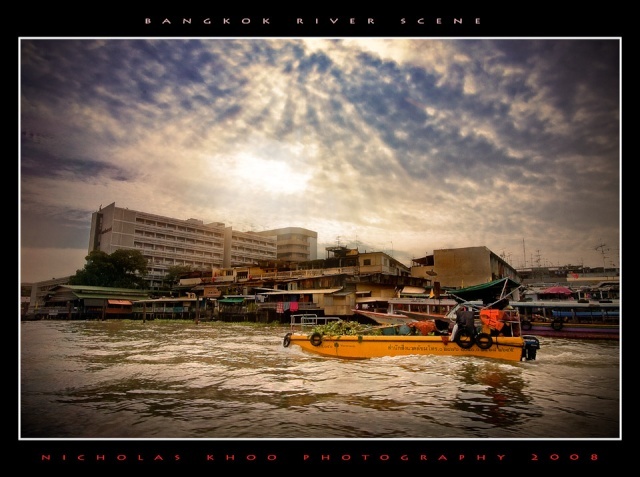 This is a HDR scene of the river in Bangkok. I know that some of you mentioned that i shouldn't do so much photoshopping (hehehe....hmm..interesting term!). But i just cant help it in this pic. I've also added rays of light to create that dynamic effect. PLs do let me know how u feel about this pic. C&C are most welcome pls. Thanks! p.s: I've finally got my browser to config such that the posted pics look exactly the same as my original pic. Hope u like the real HDR version. how to add rays of lights?? hi all!! i've finally am able to post my pics which looked the same as my original. It's all about changing the color settings and profile from adobeRGB to sRGB. Also, ur web browser, for me i use firefox, it has a configuration setting which allow color profiles to be widely accepted on the browser. 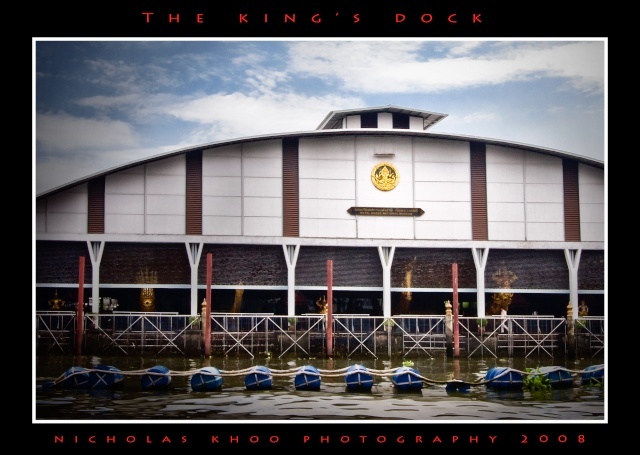 Along the river cruise, we were introduced to this dock. It's been locked up and closed to the access of the public. The reason? It belongs to the King of Thailand. This is where he parks his boats...not those luxurous yatchs but those that are meant for cultural and religious occasions, in which he will be on it and sail along the river. The saddening part of being in bkk is that, u see all of them worship their King and Queen, almost to the point of at all cost. But then, the irony is, the king is in such well-off life compared to them. 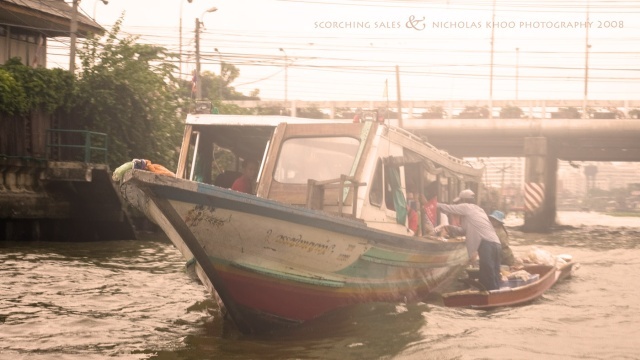 The disparity is so great that this river exemplified the simple and poor standard of living of the thais. This pic below shows the modern girl who owns a mp3 player, in clean clothes, who leads a good life, in comparison with the old and dirty poor life of the river slums. Bro.. Ashtorath asked u how to add the ray of sunlights, can explain to him on how to get the effect? ashtorath wrote: how to add rays of lights?? sorry for the delay in answering ur question. was engrossed in my bkk photo editting. Here's the website u can learn from...Very good! Admin wrote: Bro.. Ashtorath asked u how to add the ray of sunlights, can explain to him on how to get the effect? hey, u haven't commented on what u think of my pics. Had the bright white patch been tinged with yellow, it would look a bit more dramatic. If the boat is your subject you can't do HDR because the boat is moving and if do HDR you'd either have 3 images (normally) of the boat or you'd have a blurred image of the boat because of the quick succession of shots made for the HDR. 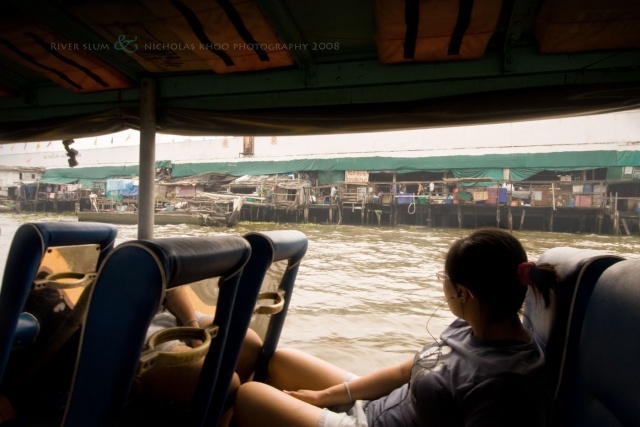 If your subject is the background scene then you have to tune your aperture value to F8, preferably F16 to shoot the HDR, which would eventually totally blur the boat because of its movement. Which in my opinion is the ideal scene for the HDR. Saymell wrote: Had the bright white patch been tinged with yellow, it would look a bit more dramatic. i created the HDR using just 1 single raw file. So that is the reason why the boat is so sharp. .. I love this. I like the sky (need to learn this from you), the contrast between the tall building, the shanties look below and the silver hues in the water. The space created in front of the boat too is perfect. Only the tall building looks like a drawing. Overall its very dramatic in fact. Somehow..my fav pic is the Gelare....I love the CLEAR Gelare word on the CUP and the BLUR Gelare word caught at the backgrd..
Wahlieu, this one is awesome! I liked it very much.. Thanks modenaslim, thanks for your compliments! nice series you have here! 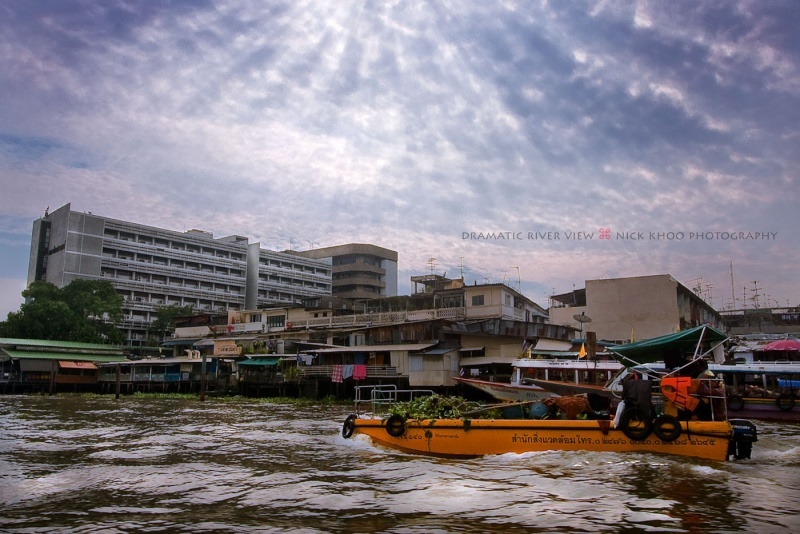 i have been to bangkok before but your post has made me look at bangkok in another way! thanks for sharing!